We love having a cotton top in our wardrobe because of how comfortable and easy to wear they are. 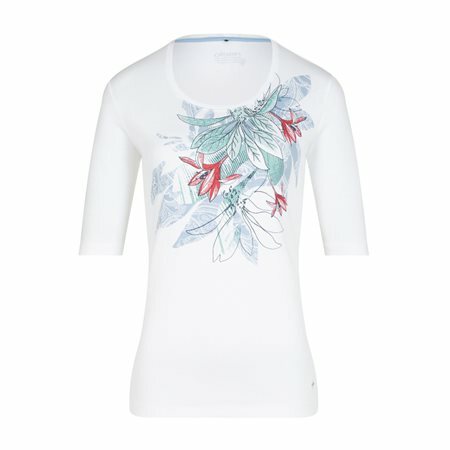 Olsen has created this top with a floral print being the centrepiece in gorgeous feminine colours. This top has been finished with a rounded neckline and mid length sleeves.